Unwanted houseguests are a common problem in the warmer months (and we’re not just talking about those of the human variety). But how exactly do you keep the creepy crawlies at bay? From dust mites and silverfish, to bed bugs and moths, we’ve got some simple tips and tricks to deter these home invaders. To prevent them from entering and laying eggs, grab some caulk and seal any cracks in walls, between baseboards and floor or around cabinets. Cover your mattress, bed base and pillows with anti-allergy covers. If you’re buying a new mattress, consider latex or foam options, as dust mites can’t live on these materials. Buy a humidifier for the room. Dust mites die when humidity falls to below 45 per cent. If you’re in the market for a vacuum, buy one that uses a double bag and a HEPA (high-efficiency particulate air) filter, which filters out microscopic allergens. Wear a mask when vacuuming (making sure you vacuum your mattress) and if possible, leave the house for a few hours when you’re done. By cleaning up the clutter, you’re reducing the number of hiding spaces for creepy crawlies. In particular, toss piles of magazines, newspapers, cardboard boxes and even bags, which tend to attract lurking silverfish. Get a laundry hamper that sits a few inches off the ground, preferably on a metal frame. This will keep carpet-lurking bugs away from your soiled clothing – especially damp towels, which tend to wind up in bundles in the corner. Though open windows make you think of bugs flying in, it’s important to keep your house well ventilated. Mothballs and moth crystals are poisonous, so consider natural alternatives instead. Lavender, rosemary, mint, thyme, peppercorns, eucalyptus, ginseng and dried orange or lemon peel can be placed in sachets and hung in your closet or placed in your drawers. Cedar also repels moths with its natural odour. Look for it in the form of blocks, balls, hangers and boxes and sand it with sandpaper every few months to keep the scent nice and strong. Take everything out of your wardrobe, then wipe it down with a detergent-soaked cloth. Before you return cleaned clothing to the wardrobe, wipe boxes, shoes and other surfaces with a damp, clean cloth, then throw it away. If you have any vulnerable fabrics, dry-clean or wash them on the hottest setting the garment will allow. If items can’t be washed – such as fur and leather – bag them and place in the freezer for 48 to 72 hours to eliminate any larvae. Moths love to feast on protein-rich sweat, blood and food particles – so keep your clothes clean and avoid mixing dirty clothes with clean ones. If you have the space, store off-season clothing in airtight containers somewhere dry and always dry-clean vintage clothes before introducing them into your wardrobe. Line your drawers with anti-moth paper and consider putting your best cashmere in vacuum bags or zip-loc bags lined with anti-moth paper strips. Always take your clothes out of those plastic dry-cleaning bags. The bags attract dust – and dust attracts moths. Vacuum at least twice a week and steam clean at least once a year, especially if you have wool carpet. Moths lay eggs in the carpets so destroy them at the source by moving around furniture and vacuuming every corner – taking care around the baseboards. 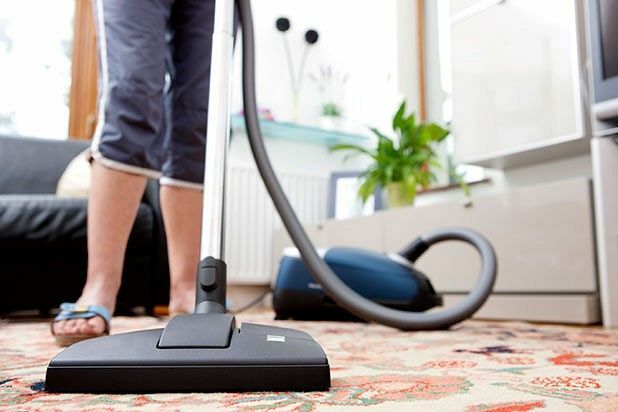 Make sure you change the vacuum bag when you’re done – taking the used one straight to the outside rubbish so that pests aren’t reintroduced into the house. Remember, the focus is on prevention. If it’s too late for that – and you’ve already found traces of them in your carpets, bed and wardrobe – pest control is just a phone call away.